Situated in the West Midlands and the geographical heart of the country, Warwickshire captures the true essence of England in its historically and culturally rich towns and inspiring countryside. The county’s most famous cultural connection is of course Stratford-upon-Avon, Shakespeare’s birthplace and a huge tourist magnet. The typical “Olde English” market town is the perfect destination for one of our Top Treasure Hunts or one of our murder mysteries as its medieval charms are famed the world over. A great destination for a top team build, Warwickshire also boasts great attractions such as Warwick Castle and Kenilworth Castle; full of tales of deceit, treachery, forbidden passions and power struggles! J.R.R. Tolkien is said to have been inspired by Warwickshire’s Mercian heritage and its rich countryside. Our friendly sales team will help you make the best of your Warwickshire away day so give them a call on 0845 006 06 06 and discuss all the great team event options available! A fantastic four star hotel, Chesford Grange is set in 17 acres of stunning grounds on the outskirts of Kenilworth. 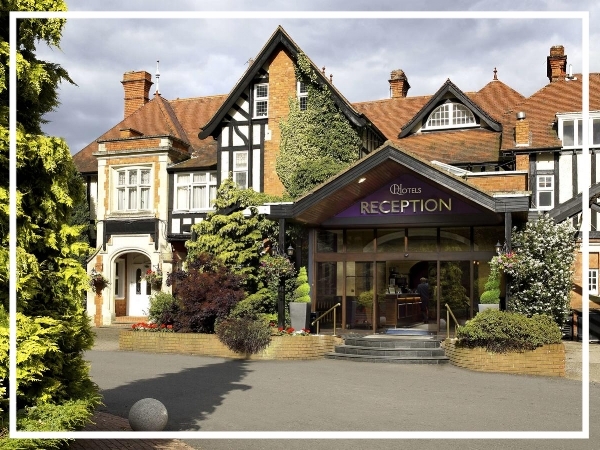 Boasting 205 spacious bedrooms, 13 conference rooms as well as spa and leisure facilities, the hotel is a great choice for a team building day in Warwickshire. An attractive conference venue and charming hotel, Ettington Chase elegantly combines a beautiful historic building with modern facilities. It has 15 meeting and training rooms, all with the latest technology as well as 130 bedrooms and a contemporary restaurant and bar. Set in the heart of Shakespeares Country, Macdonald Ansty Hall offers breathtaking views and fine facilities. As well as an award winning restaurant, the hotel offers 62 luxurious bedrooms and ample meeting and conference facilities.